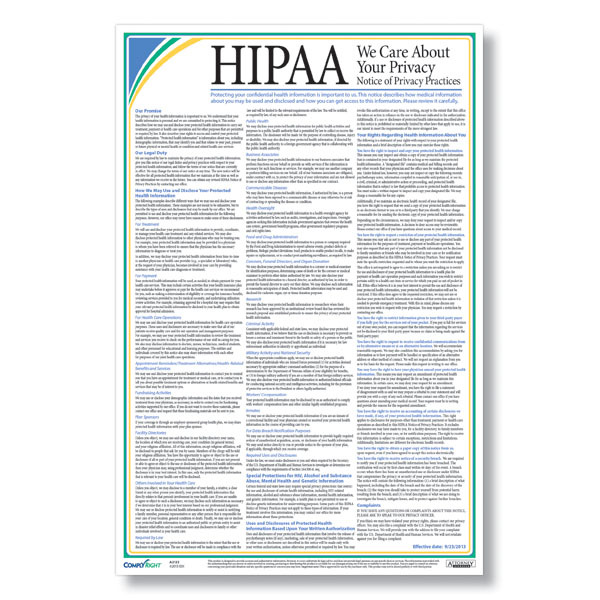 Updated to comply with new HIPAA rule effective September 23, 2013, the HIPAA Notice of Privacy Practices Poster should be displayed in your waiting room or reception area to inform patients of their rights and responsibilities under HIPAA. 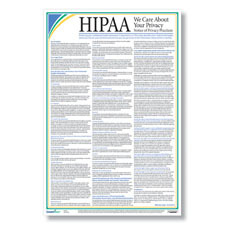 The poster provides a plain language description of how protected health information may be used and disclosed, an individual’s rights with respect to the information, a health care providers’ legal duties with respect to the information and who the individual can contact for more information. Poster Size: 12” X 17"